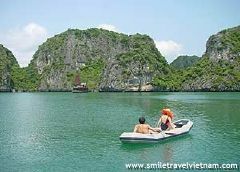 The tour would offer you chance to explore daily lives of ethnic peoples, riding through green field of Northern villages and cruising around splendors of Ha Long Bay – one of most beautiful heritages on earth. 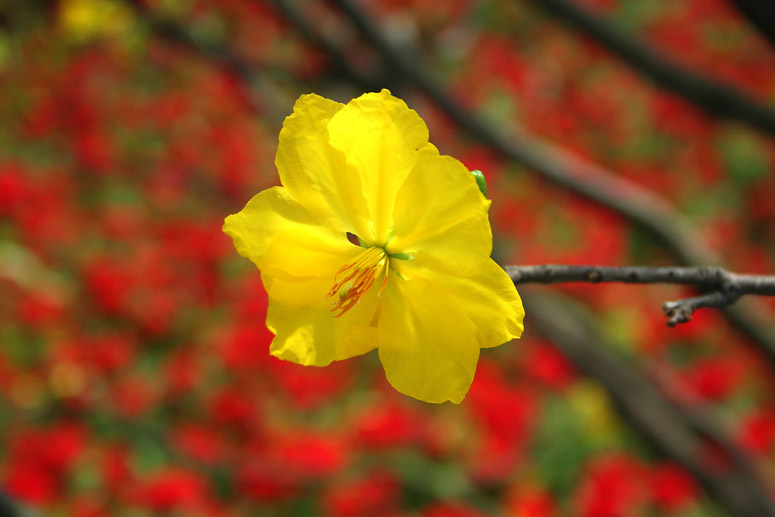 Pick up from the airport, our car would transfer you all to the hotel in the downtown of Ha Noi. After checking in we would join cyclo tour around Old Quarter, Hoan Kiem Lake for an hour and a half. 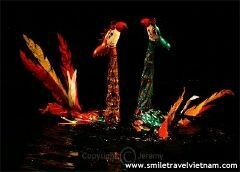 Then we would stop at Thang Long Water Puppet Theatre to enjoy water puppet show before having dinner at the finest restaurant in town..
We would spend almost the second day to discover the hidden charm of Ha Noi Capital. The first stopovers would be Ho Chi Minh Mausoleum, Ho Chi Minh Museum, One Pillar Pagoda – scared religious symbol of Vietnamese people, and Temple of Literature before stop for lunch. In the afternoon, we would pay the visit to Ethnology Museum for first impression before real exploration in coming days. Backing to the hotel after carefully test the bikes with the assistance of mechanics. 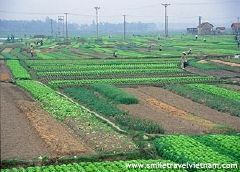 Enjoy dinner in restaurant then packing our bags to take night train to Lao Cai. Departing to Lao Cai in the early morning, we would have breakfast at local restaurant then drive for 20 minutes before riding on our route toward Bac Ha. Reaching the destination in late afternoon, we would check in the hotel and stay overnight there. Finishing breakfast, we would take the drive up to Can Cau and participating in various bustling activities of colorful local residents in the market of String H’Mong People. After that we would ride downward to visit the Castle of King H’Mong. For a while of resting we continue riding back to the hotel at Bac Ha for lunch then we would trek up H’Mong village to interact with ethnic minorities surroundings. Overnight in Bac Ha. Joining famous Bac Ha Market we enjoy fine weather Sunday in the morning or wandering to explore enchanting mountainous sceneries. Choosing lunch at the hotel or local restaurant on your demand before moving on two wheels to Bao Nhai and take boating trip at Coc Ly for three hours. Taking the drive, we would reach Sapa, check in hotel and overnight there. Riding the whole day to explore beautiful settings, meet up with local ethnic minorities and further pedal on good paved roads, we would back to the hotel at the end of day. Having dinner and staying the second night at the hotel of Sapa. Having great fun of exploration in the early market of the locals where many distinctive ethnic minorities busy exchanging their goods in colorful costumes. Getting the drive to visit Cong Troi literally means Heaven Gate then setting off riding down hill to Tam Duong. We could stop several times on route for capture wonderful pictures, refreshing or talking with the hill tribes with interpreting assistance of enthusiastic guide. Arriving hotel in Tam Duong in late afternoon, we have free time to check in and enjoy dinner at the local restaurant. Leaving Tam Duong in early morning, we bike along the river to reach Lai Chau. 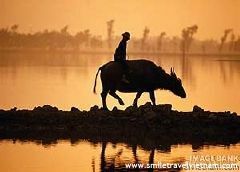 That is the chance for all of us to visit some villages homing to Red Dzao, Black Dzao, Khmer, and Black H’Mong when making some stops on the road. Carrying on riding we would reach the reserved hotel in Lai Chau where we could enjoy dinner and accommodation. Today marks as one of most hard day in the trip but also a highlighting through various stunning stopovers. Taking the drive on the top of the mountain, we would bike down on other site of mountain rages. We can swim in Black River then strolling around Kh’Mu village before getting to Son La in late afternoon. Having dinner and overnight in Son La. Heading out of Son La in the morning to come to Mai Chau on downhill road. We would take a short hike to Co Tang Village, meeting up Black H’Mong people and having local lunch. After that we would take 35 kilometer ride to reach Mai Chau. Enjoy dinner and overnight at the Thai People bungalow houses. Cycling for the whole day around Mai Chau and villages. Stopping for picnic lunch on route then backing to the bungalow houses. We would enjoy sweet voice and traditional folk dance of Thai people during this afternoon. Overnight in Mai Chau. Thanking to the host family, we take the drive up to Thung Khe then keep cycling down to Kim Boi where we would stop for lunch. After break, we bike again to Bai Chao before getting on van to back to the Capital of Ha Noi. Enjoy dinner and overnight the hotel in downtown of Ha Noi. Taking a ride along the dike to reach Bat Trang Ceramic Village where you could shop around or paint some ceramic works. If some heavy crafts take you to fancy, shipping services to your home countries is available. Keep biking to the famous temple; we would have picnic lunch in its garden. Afterwards, we continue moving on the dike and stop the bicycle at the hotel of Hai Phong City in early evening. After breakfast, we bike from Hai Phong to Ha Long Bay. Reaching Ha Long City at the noon time, we leave the bicycle to take cruising trip to Ha Long Bay. Enjoying fresh seafood lunch while boat is sailing to fishing village. We would be trained how to kayak safely then paddling around beautiful limestone, giant caves and lagoons. Relaxing on charming beaches then backing cruise junk for dinner and overnight. Getting up in the early morning for sunrise and swimming to work out the new day. Take the kayaks again to discover lagoons, isolated beaches and fishing villages before getting back to the junk for lunch. Backing to Ha Long Harbor then driving back to Ha Noi. Enjoying farewell dinner at restaurant and over the last night in the hotel. At leisure before getting on see – off van to the airport. Ending the trip.